The Washington Environmental Council recently awarded nearly $10,000 to local students through its scholarship and sponsorship programs. WEC’s College Scholarship Award for Environmental Studies provides qualified college students majoring in an environmental field with up to $2,000 to help with tuition, room and board, and other educational expenses. This year, each recipient of the scholarship received $1,500. 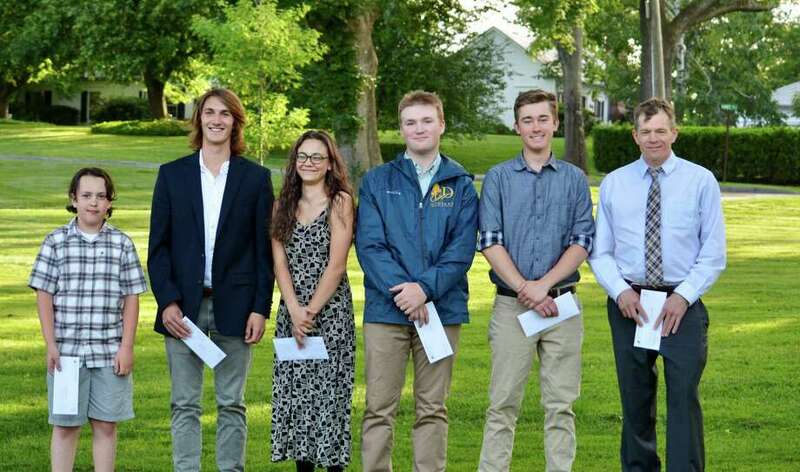 The 2018 Recipients for the Council’s College Scholarship Award for Environmental Studies are Emily Alworth, of Roxbury; Connor Douskey, of New Preston; Jack Ewing, of Washington; Benjamin Farrell, of Roxbury; Dave Neal, of Bethlehem; and Jack Virbickas, of Bridgewater. Benjamin Farrell received an additional $500 for WEC’s Environmental Leadership Award, given annually to a Shepaug Valley High School senior who has shown exceptional leadership, scholarship and community service in relation to the environment. The Pratt Nature Center Day Camp Sponsorship provides select Washington Primary School students a one-week summer camp experience at the Pratt Nature Center. This program encourages local students to spend a portion of their summer vacation outdoors to foster a deeper understanding of our natural environment, its importance in our lives and its need to be nurtured and protected. This year, Jake Gervasio received the PNCDC Sponsorship.